Nagasawa Tomoyuki was born May 15, 1984 in Fukuoka. At 8 years old, his encounter with The Beatles and cathode ray tube “opened his eyes”. He started playing guitar at age 10 and composed his first original song at age 11. When he was 18, he sent a demo tape to Office Augusta who recognised his talent. Ever since then he performed live in a well-known live house “Syouwa” in Fukuoka and other live houses in Tokyo all the while creating new music. In September 2005, he filled in for the opening act of Tokyo/Osaka “YAMAZAKI MASAYOSHI in Augusta Camp 2005” event. 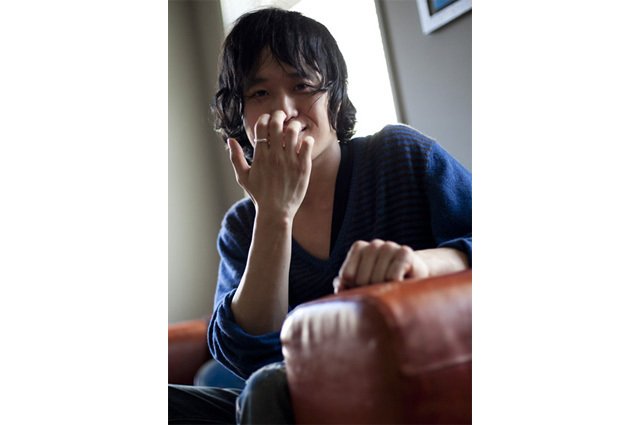 The music he had created until then was collected into an indie EP titled “Nagasawa Tomoyuki” and the CDs were sold in the places where he performed live. He had his major debut in August 2, 2006 through his single “Bokura no Kagayaki” and released his first mini album “PAPERSTAR” in March 2007 followed by “P.S.S.O.S.” in October. From then on, his live performances and music productions steadily piles up and 1 and a half year later he released his 3rd mini album “EXISTAR” in March 2009. The originality and quality of his music gained popularity. In April 2009, he made a drastic move on performing a one-man live in Tokyo (UNIT), Osaka (SUNSUI) and Fukuoka (DRUMSON), all tickects to the three venues were sold out. And then in August 5, 2009 the long-awaited mini album “SILENTSIREN” was released.